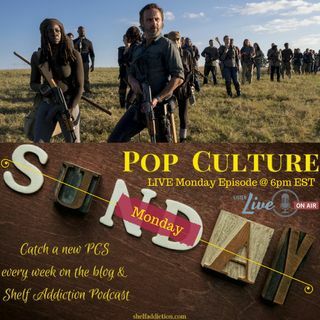 Thanks for joining us for the live discussion of Sunday's episode of The Walking Dead! We're reviewing a bit, recapping a bit, and reacting a lot...basically discussing the episode highs and lows in our unique style! Enjoy. Find Tamara on social media! Find Lisa on social media! Copyright © for the intro by AMC Network Entertainment LLC "The Walking Dead Ost". FTC Disclaimer: The show notes may contain affiliate and/or referral links. I receive a small commission if you purchase using my link(s). If you purchase using my link(s), you will be supporting the Shelf Addiction website and podcast. This is NOT a sponsored podcast. All opinions are genuinely my own. **This audio podcast shall not be reproduced, sampled or uploaded elsewhere without my written consent.